Pre-formatted citations can be generated for any OSF project, and can be copied and pasted directly into your bibliography. 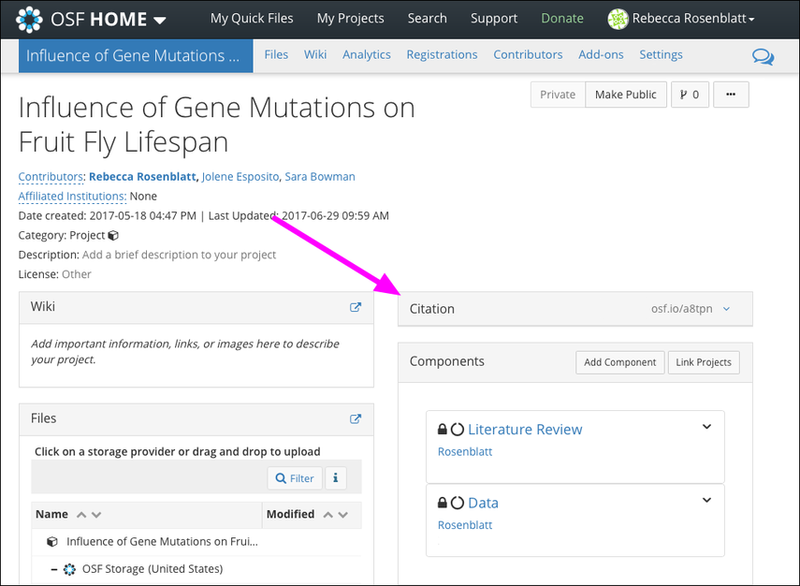 Open your project, then click the Citation section to expand it. 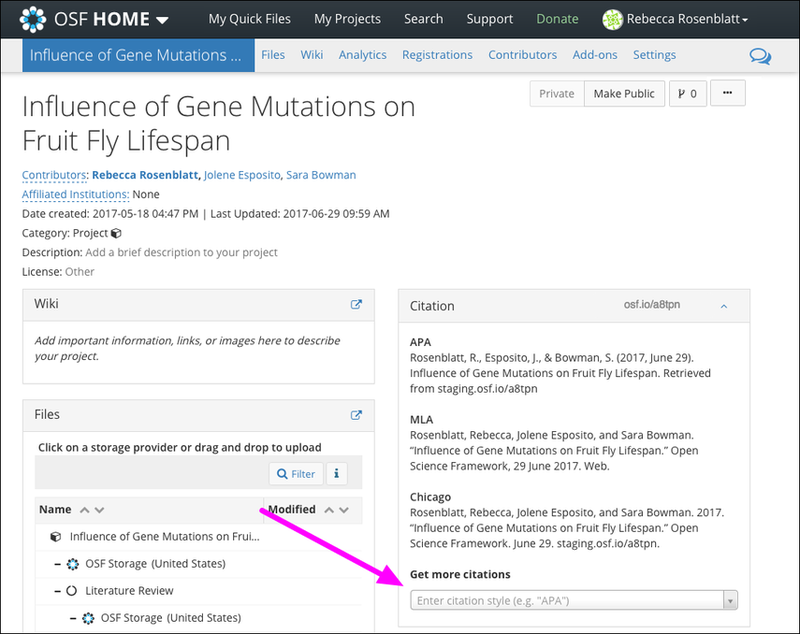 The project citation will be displayed in APA, MLA, and Chicago formats. Type into the Get more citations box to find hundreds of other citation formats. Copy the citation and paste it into your bibliography.